Ralph Potts reviews this fact-based drama that tells the incredible true story of Ron Stallwortth, an African-American police officer who infiltrates the Ku Klux Klan. In the early 1970s Ron Stallworth (Washington) becomes the first African-American detective in the Colorado Springs Police Department. Determined to make a difference, he bravely sets out on a dangerous mission: infiltrate and expose the Ku Klux Klan. He recruits a seasoned colleague, Flip Zimmerman (Driver), into the undercover investigation. Together, they team up to take down the extremist organization aiming to garner mainstream appeal. Based on the book Black Klansman by Ron Stallworth, BlackkKlansman offers an unflinching, true-life examination of race relations in 1970s America that resonates in today’s tumultuous world. Prior to seeing the film, I hadn’t heard of this story although, I am sure that there are many fascinating true-life stories that aren’t well known. As with most films based on subject matter taken from real people/events I was keenly interested in the story. The narrative set up is excellent, building upon the foundation of detective Ron Stallworth, who in the mid-1970s, becomes the first black detective in the history of the Colorado Springs Police Department. The conscientious young officer comes across a classified ad in the local paper asking for all those interested in joining the Ku Klux Klan to contact a P.O. box. He responds with interest, using his real name while posing as a white man. He figures he’ll receive a few brochures in the mail, maybe even a magazine, and learn more about a growing terrorist threat in his community. From this the storyline springboards following Ron’s investigation as he, along with his white partner, who poses as “Ron” while interacting with the Klansman, infiltrate the local chapter of “The Organization” exposing their dealings, members and thwarting their plans. Director Spike Lee capably handles the film’s biting social commentary which provides a searing snapshot of racism during the period while interjecting thought provoking questions regarding its place in America today. I loved the performances by John David Washington, Adam Driver, and Topher Grace. The supporting cast of players are equally deserving of recognition as everyone contributed to the film’s thematic impact. BlackkKlansman is most definitely a character study but, not just of a man, as its reach is broader, intentionally so, which reminds us to stop and give pause to consider how far we’ve come and where we are going. I thoroughly enjoyed the film and found it to be one that didn’t leave questions about its meaning unanswered. The rating is for language throughout, including racial epithets, and for disturbing/violent material and some sexual references. BlackkKlansman comes to Ultra HD Blu-ray from Universal Pictures Home Entertainment featuring 2160pHEVC encoded video and lossless Dolby Atmos/TrueHD 7.1 channel sound. For its presentation in Ultra HD, BlackkKlansman was derived from film-based sources and rendered from a 4K DI. BlackkKlansman is a period-based film that has a specific visual aesthetic which comes through quite naturally in this Ultra HD rendering. With a discernible increase in detail and depth the image appears more vivid and lifelike when compared to the 1080p version, which is solid in its own right. Primary colors are pleasingly rich while whites appear gradational and delineated. The film contains a host of sequences that take place in low lit interiors, and the increased dimension in blacks and shadows is appreciable. Close ups reveal oodles of fine detail and abounding textures. Wide angle shots of the rural areas featured in the film look great in Ultra HD. I found the application of high dynamic range to be spot on and quite complimentary. The rendering of natural and artificial light via its discernible stages and incremental highlights is one of the presentation's big pluses. The film utilizes sepia and, an overall a warm chromatic aesthetic that is faithfully reproduced. I found instances where the image softened, depending on the camera angle, however this appears to be innate, as it is present in both the Ultra HD, and 1080p renderings. The difference between viewing BlackkKlansman in high definition and Ultra HD isn't night and day, but it assuredly benefitted from the increase in resolution, wide color gamut and subtle high dynamic range treatment. Overall, I was pleased with this presentation. 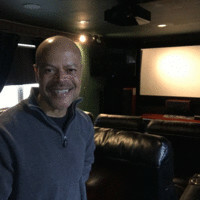 I utilize the TCL 55P607 UHD Dolby Vision HDR flat panel in my review system to enable me to compare the visual quality of titles that contained the Dolby Vision metadata versus its HDR-10 counterpart on the same disc. All titles are first watched via my JVC front projector. I then select specific scenes which are watched on the TCL, first via HDR-10 then via Dolby Vision. The TCL isn’t among the top tier flat panels with DV, however it came recommended by AVS Senior Editor Mark Henninger, and calibrates/performs extremely well for a set at its price point. In comparing specific scenes from both the HDR-10 and Dolby Vision renderings I found the handling of HDR to be the same. As I eluded to earlier this film’s elements aren’t lent to the type that would show off the format’s strengths in this regard. In listening to the Dolby Atmos surround mix I found it to be of the less aggressive variety but, considering the source material that’s not a complete surprise. Its use of audio objects placed above is comprised of a mix of atmospherics and, occasional discrete effects. This is done well when implemented and creates an enriching level of immersion that coincides with the onscreen events nicely. The music score is subtly mixed over the platform so as to add natural depth to its orchestrated elements without drawing attention away from the thematic details of what is transpiring onscreen. While this mix doesn’t make constant use of attention-grabbing audio object placement, I found myself completely involved when it mattered and found this to be an enjoyable audio presentation that absolutely complimented the source material. 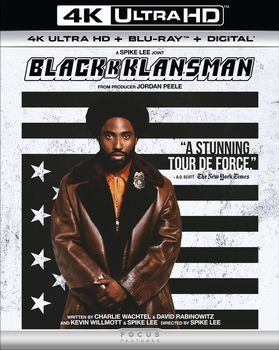 BlackkKlansman comes to Blu-ray Disc from Universal Pictures Home Entertainment featuring 1080p AVC encoded video and lossless Dolby Atmos/TrueHD 7.1 channel sound. This is an excellent high definition rendering that sports plenty of fine detail and crisp definition that provides discerning dimensional perspective. Colors range from warm and vivid to cool, reserved and almost tonally neutral. This is obviously a creative decision that draws definitive visual boundaries and works quite well. Contrast is strong and blacks are deep without compromise to delineation. Shadowy areas exhibit excellent depth of field and visible gradational stages. The various wide-angle shots of the shooting locations look terrific. Other than some innate softening, I didn’t see any signs of video degrading artifacts or extraneous compression related noise. BlackkKlansman looks great on Blu-ray. This is primarily a dialog driven film however there are elements in the film that require use of the entire system so its ability to clearly render them is essential. Dialog is reproduced with transparent realism and lucid texture as it is appropriately balanced within the front soundstage. The surround mix utilizes the entire platform to recreate the many acoustic sounds associated with the environments portrayed onscreen. The rear channels contain a mixture of spatial ambience/musical extension as well as directional panning cues that effectively support the front soundstage. When called for there is a solid low end associated with the sequences involving gunfire and, later in the film an explosion. This is a complimentary audio presentation that mates well with the source material. Based on the book Black Klansman by Ron Stallworth, BlackkKlansman is an evocative and well-executed expose that features a terrific cast ensemble and apt direction from Spike Lee. It comes to Blu-ray in this Ultra HD Combo Pack from Universal Pictures Home Entertainment featuring excellent Ultra HD video, crystal clear high definition audio/video, and a disappointing supplemental package. 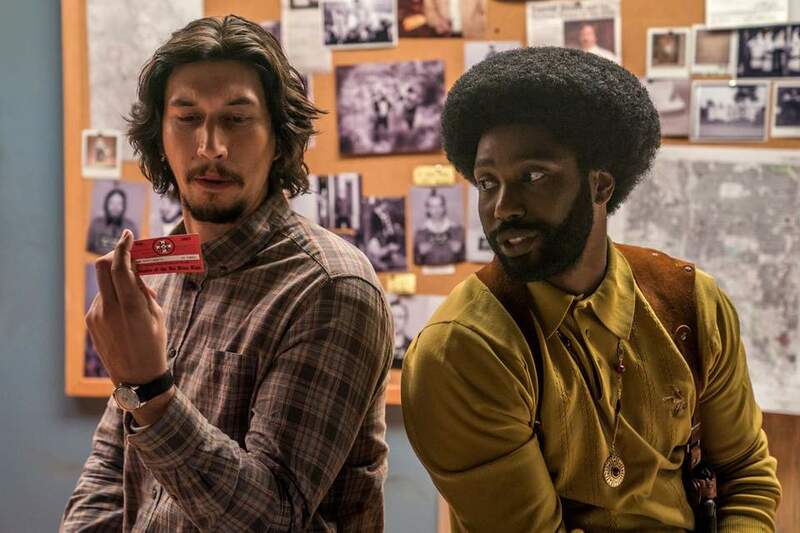 BlackkKlansman is a relevant and entertaining film that genre fans shouldn’t miss. JeffR1, slimm, darthray and 3 others like this. Last edited by Ralph Potts; 11-13-2018 at 10:43 AM. I'm glad you enjoyed it Ralph, I would have been surprised if you didn't. I was 5 years old in 1970 and I had no idea all this was going on off course, so this is always a wake up call and a shocking reminder that this sort of thing was, and is, still very much alive, unfortunately. Even though this was deemed partly as a comedy, it certainly dealt with issues that were not very funny at all, just the opposite in fact. The live footage at the end with Donald Trump is a very grim reminder of this. Here in Canada, things weren't that much different with the persecution of our first nations people, and what happened to the Japanese population after the attack on Pearl Harbor _ and I am sure that if one dug deeper, all sorts of nasty things would turn up. I always looked upon Canada as racial melting pot of tolerance and acceptance, and for the most part, it is, but I'm quite ashamed that this is not always true. Check out the movie "Indian Horse"
tenthplanet, ma1746, Ralph Potts and 3 others like this. Last edited by JeffR1; 11-13-2018 at 06:29 PM. Thanks for the review Ralph. Spike Lee is only one of a few who could pull a film like this off. Switches from funny, to disturbing and informative all along. Saw this in the theater, would easily watch it again. The film stays with you after you've seen it. Every diamond has flaws. Take heart and take pride that you're one of the few nations that abolished slavery long ago and arrived at equal rights for all citizens. People often lose sight of this in today's hyper-sensitive climate, but there are still nations in the world today that have laws that actively oppress and enslave others over race, religion, politics, etc. tenthplanet, pspoar, jsgrise and 2 others like this. Comedy can be a surprisingly effective way of dealing with serious issues. Movies like MASH and Tootsie were able to sneak their messages through without rubbing it in your face. tenthplanet, thehun, connoralpha and 3 others like this. Great review Ralph. But, I don't know if I should buy this one. I just saw a black and white movie three nights ago on Amazon Prime entitled, "The Black Klansman." Spike Lee may need to be more original. BlackkKlansman is most definitely a character study but, not just of a man, as its reach is broader, intentionally so, which reminds us to stop and give pause to consider how far we’ve come and where we are going. I liked this movie, The racial ones are interesting. But I swear I sang "I beleive I beleive I beleive im falling in love" for about 2 weeks straight after seeing this movie lol. Makes me want to see what John David Washington will do next. I think he did awesome in this. I liked the feel of the movie alot. I like that it went BOTH ways and didnt just show one side of racism. Actually it went more then 2 ways (white-black) but that was the general approach to the movie I think. I saw this in the theater and enjoyed it enough to redbox it, Not sure if its worth watching more then twice though. Last edited by trilkb; 11-20-2018 at 11:04 AM. I am trying to decide whether to rent blu-ray or buy 4k disc. The blu-ray rental has Atmos, so same audio. Blu-ray.com indicates that the 4K is much better than the blu-ray but other reviews indicate it is not a material difference. I would not keep it if I bought it - would sell code and sell the disc later. So only reason to buy it would be if the 4K is materially better. How do the blu-ray and 4K compare? I am disappointed in myself for still having yet to see this. Adam Driver is one of my favorite actors. I may just pick up the blu-ray since it seems to have ATMOS. I rented this from Netflix on Blu-ray. I would of seen it sooner but this title had a long wait. It did have the Dolby Atmos which sounded good since I had not watched a movie with Atmos in a while so it was all new experience again. I was surprised I enjoyed this movie more then I expected. I thought Adam Driver did an excellent job in this. Was also surprised Blumhouse worked on this film as well as Peel. Spike Lee's Academy Award for this was well deserved. Saw this in theaters and really enjoyed it. In the end though, I think this is a rental or maybe grab the standard Blu-ray on sale since it has Atmos. Living Room-Sony 65" XBR900E, Denon X3300W, Nvidia SHIELD. 5.1.2-Ascend Acoustics CBM-170SE L/R, CMT-340Center, HTM-200SE Surround, RSL C34E Atmos, Sealed UM18-22 Sub. "Micro Theater"-Optoma UHD51A, DIY 120" Spandex AT Screen, Denon X4400H, Sony UBP-800X, Nvidia SHIELD. 7.2.4 - DIYSG HTM-10 LCR, RSL CG3 Surround, RSL C34E Atmos , 2 4cuf Sealed 18-22 Ultimax.